AT&T began selling the One X on May 6 for $199, but Amazon Wireless is currently offering the device for $129. AT&T currently lists the One X as out of stock. The Evo 4G LTE was set to go on sale through Sprint on May 18. It's not clear when the two phones would resume regular sales in the U.S. The U.S International Trade Commission issued a limited exclusion order against HTC and two of its subsidiaries in December after finding that the company violated some of Apple's patented technology. The ITC's import ban went into effect for new devices on April 19. 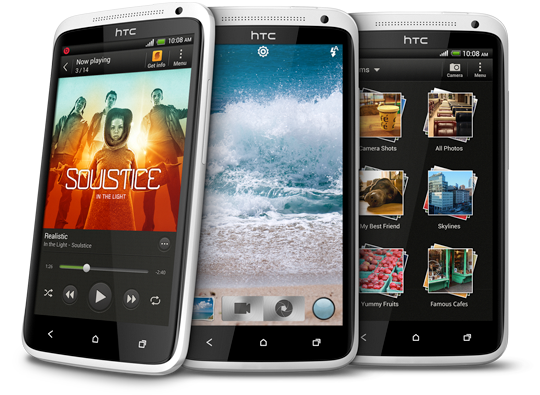 HTC can until Dec. 19, 2013, import refurbished devices using the disputed technology to fulfill warranty replacements and insurance settlements. Both the One X and the Evo 4G LTE earned four out of five star reviews from PCWorld. The One X features a 4.7-inch display with 1280-by-720 resolution, 1.5GHz dual-core processor, 1GB RAM, 32GB onboard storage, an 8 megapixel camera with 1080p video capture, a 1.3 megapixel front-facing camera, and Android 4.0 Ice Cream Sandwich with HTC Sense 4. The Evo 4G LTE has similar specs to the One X such as a 4.7-inch display with 1280-by-720 resolution (the Evo features In Plane Switching technology), 1.5 GHz dual-core processor, 1GB RAM, an 8 megapixel camera, and a 1.3 megapixel front-facing camera. The device also has 16GB of onboard storage, a microSDHC slot, and Android 4.0 Ice Cream Sandwich. The new addition to HTC's Evo lineup was set to go on sale through Sprint on May 18 but has now reportedly been delayed. Despite its name, the Evo 4G LTE is a 3G phone as Sprint is still building out its LTE network.